It’s easy to see why Oxford is such a desirable place to live in, with its stunning architecture and immaculate heritage, but for those looking to move there any time soon, their hopes may be dashed. 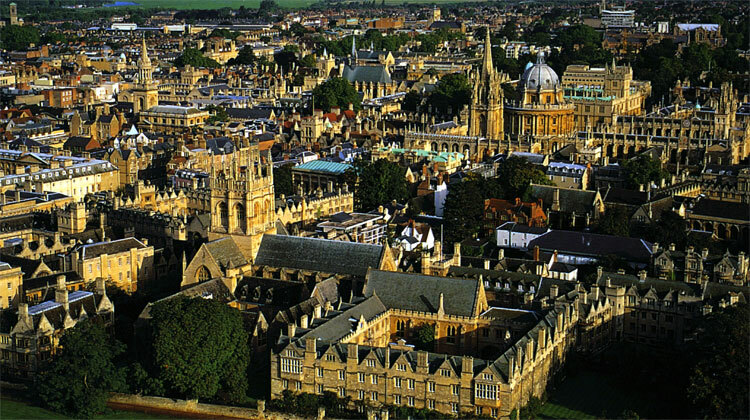 According to a report from Lloyds Bank, Oxford is the most expensive city to live in, in the UK, with continually rising house prices making it much less affordable and accessible. The study compared the average prices of properties and found that houses in Oxford cost approximately 11 times the average earnings. The cost of an average house in the UK has risen by 5% to £184,215 – this is approximately 4.8 times the average earnings. Winchester was second on the list of least affordable areas, with Truro and Bath placing third and fourth. The report did however point to a large proportion of Oxford residents, who actually commuted to London, which may be part of the reason that house prices were so off balance with wages in the area. The report found that the most affordable place to live was Stirling in Scotland, where houses cost around 3.3 times the average earning. This was then followed up by Londonderry, Newry, Belfast and Bradford. York was the only northern city to make the list of affordable cities, where it made an appearance at number 20. A property in York costs nearly 6 times the average earnings – a stark comparison to some of its neighbouring towns such as Hull and Sheffield, which only cost around 4.5 times the average earnings. The UK property market has really shot up recently with the help of government schemes such as Help to Buy. This has created a fresh wave of people who are now looking for houses, who previously couldn’t afford to. Recent figures found that the average national property price rose by 2.4% last month alone and people are starting to get concerned that a housing bubble is starting to spread from London up across the rest of the country. “It's just a matter of restricted supply. It is surrounded by green belt, the north and north-west of the city is a flood plain – and much of it is currently under water and can never be built on. The ring road is also a natural barrier to expansion." The gap in affordability seems to be rapidly growing between the north and the south, with the top 15 most affordable cities on the list situated in the North of England, Scotland and Northern Ireland. On the list of the least affordable cities, only Lichfield, Leicester and York made the cut out of the total 20.